“The Incubus of Karma”, the fifth full length album from Mournful Congregation will be released on 23rd March 2018. Pre-orders can be made for LP and CD in Europe through Osmose Productions, in the US through 20 Buck Spin and in Australia through The Cave Distro. The first available preview track can be heard here. A new full length studio album is due for release early 2018 through Osmose Productions (Europe), 20 Buck Spin (US) and Weird Truth Prod (Asia). 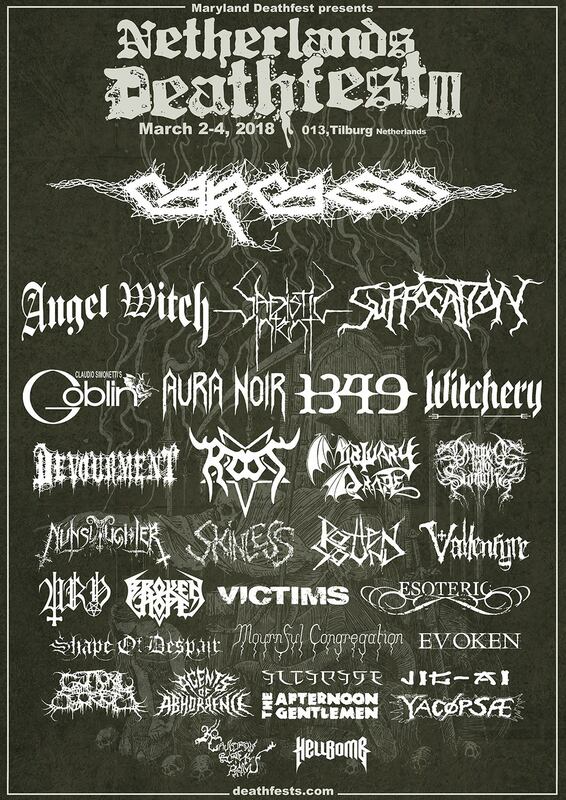 Mournful Congregation shall perform an exclusive live show at Netherlands Death Fest in March 2018. The return of Mournful Congregation is imminent. The band will release a new mini-album titled ‘Concrescence Of The Sophia’ on June 24th via 20 Buck Spin in North America. The European release will be handled by Osmose Productions. The release consists of two tracks, Concrescence Of The Sophia (21:42) and Silence Of The Passed (8:57), totaling just over 30 minutes of completely new music from the Gods of Extreme Doom. The vinyl release for North America will be the band’s first domestically available vinyl pressing and will come on black vinyl and two additional color variants. The CD version will be a digipak. A t-shirt design based on the album artwork is also planned. If all goes well the album will be in the hands of the band on both formats in time for their headlining appearances at Martyrdoom in New York City at the end of June. Also for those keeping track, our good friend Tim Call (Aldebaran, The Howling Wind, Nightfell, Parasitic Records, etc etc) handles drum duties on this recording. For the past several months we have worked hard on booking this tour for this amazing band and now the tourdates are finally ready! 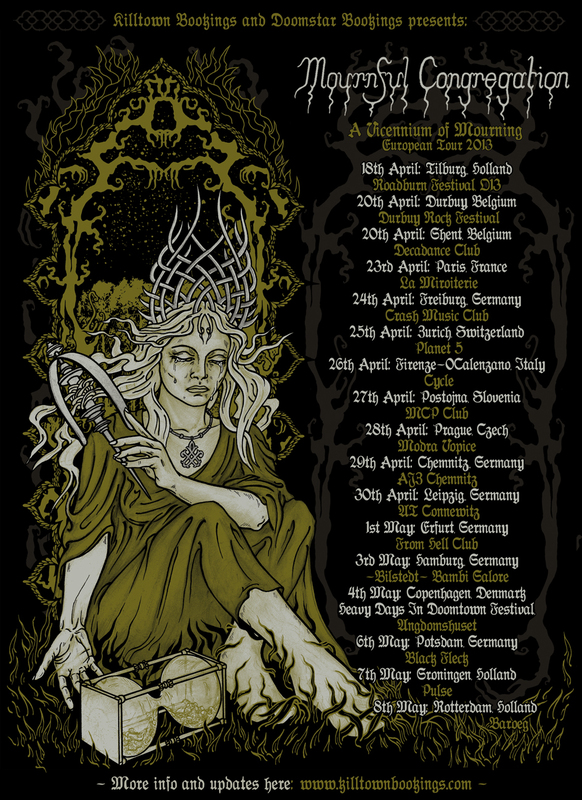 The tour will start on April 18th with the first show at the infamous Roadburn Festival in Tilburg, Holland and after that continue to spread death, doom and depression on a trail across Europe before heading back to Australia on May 9th. On the way they will also pay a visit to the upcoming DIY doom fest Heavy Days In Doomtown in Copenhagen, Denmark and be joined for the last leg of the tour by US doom sludge outfit, Shadow of the Torturer. Mournful Congregation are honoured to finally return to Europe in 2013, spreading their plague of death, doom and depression as far and wide as possible. Unfortunately Mournful’s official drummer, Adrian Bickle, is unable to join the band for this sojourn. But they are pleased to announce that Tim Call (Aldebaran), who also joined the band on their last US tour in September 2012, will be filling in on drums. 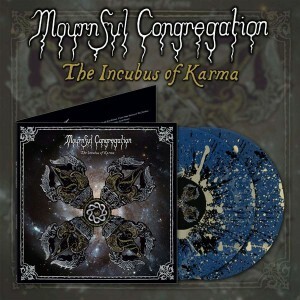 Mournful Congregation merch is now able to be ordered online directly from the band via http://mournfulcongregation.bigcartel.com or through the Cave Distro http://www.thecavedistro.com run by Damon. 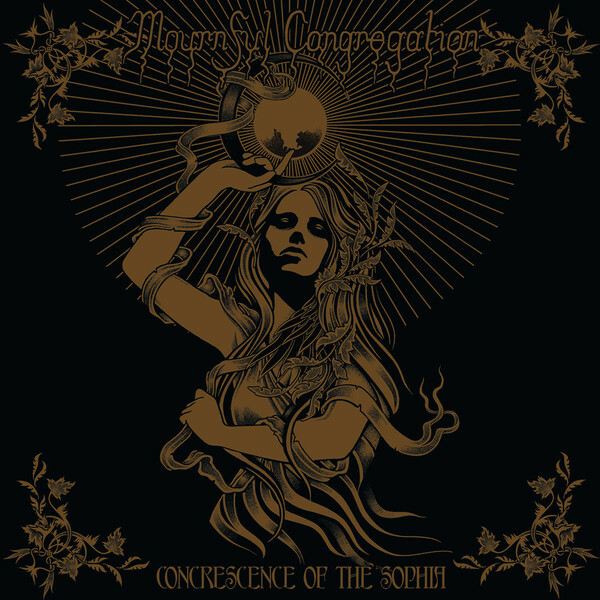 Mournful Congregation / Velnias 2012 US tour shirt design by Alexander L. Brown. We’ll have a limited number of these avilable for purchase in sizes S through to XXL on our upcoming US tour. Following an incredible tour of the West Coast of the United States at the end of 2011, including a devastating performance at Rites of Darkness III, Australia’s epic doom sorcerers MOURNFUL CONGREGATION will return to The States in the weeks ahead! The new pending tour will see MOURNFUL CONGREGATION returning to the US on an eleven-date trek erupting out of Seattle on September 14th and surging its way down the West Coast, and ending in Denver on September 28th, including a performance at Stella Natura in Soda Springs, California, a three-day fest in the wilderness of Sierra Nevada’s Tahoe National Forest including Aerial Ruin, Aluk Todolo, Ash Borer, Blood Axis, Sabbath Assembly, Sutekh Hexen, Waldteufel, Wolvserpent and dozens of other acts. The Adelaide-based MOURNFUL CONGREGATION will be joined by Colorado blackened doom act Velnias as direct support for all dates, and Tim Call from Aldebaran will be sitting in on drums for MC on this tour. Additionally, a limited edition screen-printed tour poster with exclusive art by illustrator David D’Andrea will only be available at these eleven dates. This new burst of touring precedes a series of MOURNFUL CONGREGATION reissues, as the band’s current stateside label home 20 Buck Spin will be reissuing their Tears From A Grieving Heart, The Monad Of Creation and acclaimed The June Frost full-lengths exclusively to North America. All three of these classic back catalog releases will be released on October 16th on CD and digital download, and are all must-hear albums for diehard fans of Skepticism, Opeth, Pallbearer, Katatonia, Evoken, Ahab, Loss, Samothrace and Disembowelment. shows with Colorado’s Velnias. More details soon…..
We must humbly apologise to all of our East Coast fans once again. Due to time restrictions and certain logistics, we will not be able to make it over to the East Coast this time around. Sorry!